We bring you more more SLH Hyatt hotels, the latest new travel rewards credit cards, learn more about the sneaker culture, the latest blogger drama with writer defections and sniping, the reasons behind the Venezuelan collapse, meet the indigenous people in Japan, last call for ever for some Marriott luxury hotels, how to fight the drug epidemic, the best photography on the web, go back to Japan to visit the snowiest road and lots more always freeeeee! As this hobby has deteriorated in the past several years, I am finding there is not as many TBB worthy links to bring to your attention here. I think doing these Buzz type aggregator type posts on Mondays and Fridays will more than suffice. Of course you will get the Best of Web type posts on Sundays. Leaving Wednesdays wide open. In the past two Wednesdays I brought you again two of my epic travel hacking trip reports. I would like to open it up to guest bloggers going forward. If any former bloggers want to express some things, I am all ears! I would love trip reports from odd places, helpful award booking content, inside the hobby buzzy stuff, etc. I am interested in QUALITY and adhering to the blog mission! This blog never made much money and I am going to keep it unique…now it is going to lose money! Yes this means what you think it $ means, no slave interns (unless you want to be one lol), contact me! There is now a bunch of new travel rewards credit card offers, you may have seen one post or two…hundred of them 🙂 There is a Chase IHG Rewards Club 120k offer, an Amex Marriot Bonvoy Boundless 100k (smh, wtf name is that!) offer and several Delta Amex cards (Gold 60k, Platinum 75k, Reserve 75k). TBB management would really appreciate it if you get any travel rewards credit cards with my links assuming you know what you are doing! Ok, I feel dirty already, lets Buzz on! 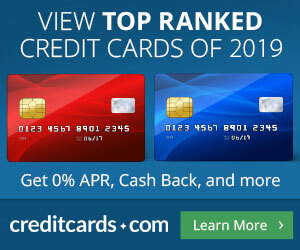 Mile Nerd still keeps up the Best Credit Cards page, it is the one to check to see if you are getting the best offer. He also wrote an interesting post about insecurity. To the person who checks Instagram several times while watching a movie at the theater, WTF is wrong with you??????? I am starting to think the sleeper DEAL in the hotel loyalty world may well be Hyatt’s deal with Small Luxury Hotels (SLH). They already had integrated 110 hotels in the World Of Hyatt system and they just added another 57, wow! And you know why I am so excited? Because now there are many hotels in Greece! From the days they only had one in Thessaloniki in northern Greece we now have several in Northern Greece and of course the Greek islands. Heck, you can burn Hyatt points in your next vacation in Greece and have every night paid for, sweet! The Latest Wave of Luxury Hotels with Hyatt and Their Award Costs – Use Hyatt Points for a Castle, World-Class Beaches, and More. I have never been a Marriott fan. And I am the one consistently calling them out for the crap they do. But I do have about 240k Bonvoyage points, sorry Bonvoy I meant. Every single one came over from the SPG program which has now been effectively killed. And its body thrown to the wild dogs at a country road up in the mountains. Whatever. If you wanted to blow your points in style before these opportunities also get killed, here are some ideas: Last call to book ultra luxe Marriott hotels at 60K per night. I totally understand true road warriors may have no choice but to stick with Marriott. Because they are so gigantic now, you just can not escape them. But if you are not a true road warrior and play this game to travel for free…I don’t care how high the sales commissions are for selling the Marriott credit cards… I could never EVER recommend this loyalty program. Can The Points Guy say that? LOL. STOP LISTENING TO BLOGGERS whose livelihood is these loyalty programs and selling their travel rewards credit cards. You have NO basis to spend money at these hotels to achieve STATUS if you are a leisure traveler and stay some nights for work, STOP! Be a free agent or, be like me, stay for free using hotel points lol. I am so embarrassed that I did not know about them! Who are the indigenous Ainu people of Japan? Some time ago my son bought a pair of sneakers. For something like $275. I was livid! He said “it is an investment, I’ll make money on it”. And I was like, “WTF are you talking about son? Are you on drugs?” He told me that this shoe trading is the thing. I still did not believe him. Then he told me he was doing a class project about the Detroit based company StockX and I learned a bit about the super fast growing company. I had NO idea so many are into this thing, NO IDEA! Frankly, I think it is major BS and looks like major marketing crap done by the shoe companies. And obviously, you know, when big money comes into a true hobby you know what happens right? Look at what happened in the miles and points world! Anyway, long intro, if you are interested in this subject, this is a great educational piece on it: Who’s Killing The Soul of Sneaker Culture. Well, these commercial blogs sure killed the soul of our free travel free loading hobby. I am about to cry next, I am still a purist in a way lol. You know I am against building the wall in our border with Mexico. Because it is a giant waste of money. You mean, what is new right? Well, maybe this time we can spend the money in doing something like this if we were really that worried about the drug crisis then huh? Here’s How One Small Town Beat The Opioid Epidemic. Huntington has also seen a drop in overdoses, down 40% from 2017 to 2018. And again, they did it with a collective response that treats the overdose crisis like an epidemic rather than a crime wave. The city of 47,000 was once called the “ground zero” of the overdose crisis after a record-breaking 20 overdoses happened there over just two days. Fantastic article about Venezuela: Understanding Venezuela’s collapse. The article gets to the why…In retrospect, I should have saved this one for a Best of Web Sunday post, oh well. The current situation is the biggest economic collapse in human history outside of war or state collapse. The GDP has fallen by well over 50 percent. That is double the size of the U.S. Great Depression. It’s double the size of the Greek crisis. It’s double the size of the economic collapse that occurred during the Spanish Civil War. It is something of really unique proportions. The consequence of that collapse is expressed in the fact that the minimum wage today is $6 a month. That means that the minimum wage does not buy two eggs a day. All the investment fund shareholder letters in one spot. I would appreciate an HT, come on! 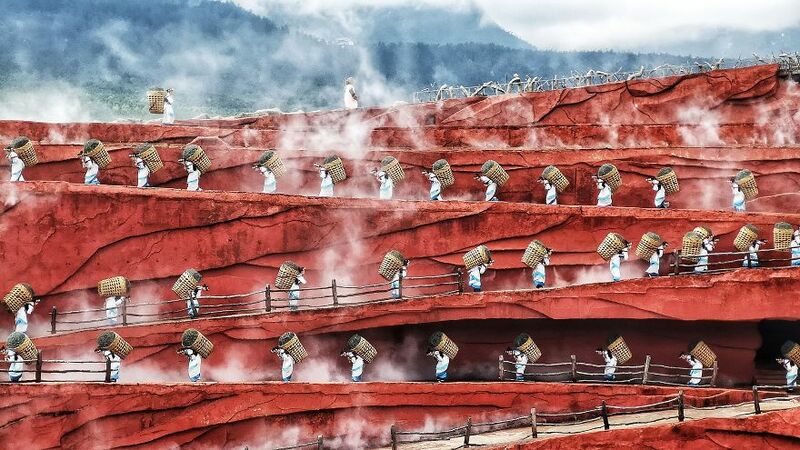 Amazing photos: 30 Best Photos From The Sony World Photography Awards 2019. This is so good, you know, a picture is worth a thousand words. Or something like that. 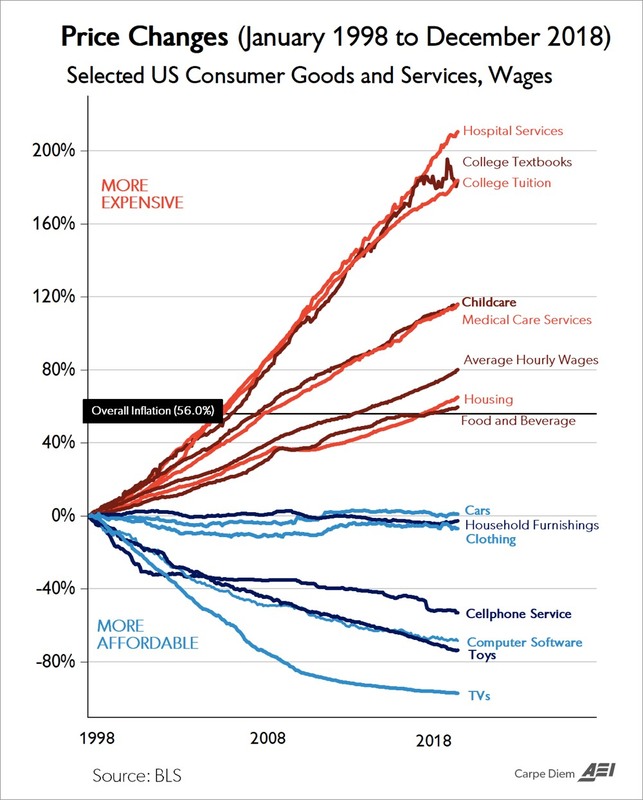 Cheap TVs and Exorbitant Education, Modern America in One Chart. 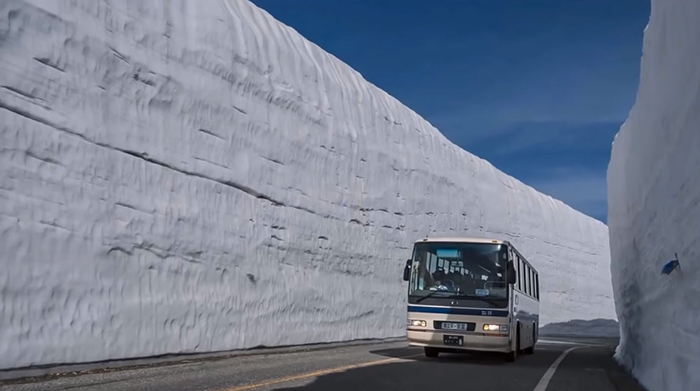 Lets go back to Japan, to the “snowiest road in the world”. This does not look real! “I’m not saying any other sites are in bed with Marriott (just sharing limos to the Oscars ), but one has to wonder if it’s a coincidence that a negative post about marriott disappeared on a certain other site. As reported here, OMAAT lost a writer (James) who defected to TPG…so there is, well, a little bit of anger involved here huh? I usually do not do this but here is the original OMAAT article “Marriott Bonvoy Still Failing at Basics“. Some of the comments are HILARIOUS! No worries, they will be back selling Marriott Bonvoy cards lol. And suddenly the end of the 3x for online gift card purchases with the Chase Ink Business Preferred came. Rumors run wild that TPG will raise its Ultimate Rewards points valuation guide. Bwahahahaha. That was a sad IHG Rewards Club Pointbreaks list, wasn’t it? Long gone are the days where I used to check these enthusiastically when they were coming out, sad! But wait, the Lazy Traveler has identified some good ones that may work for you. And I leave you with this…Me when I retire lol. Can I pay for the sneakers with bitcoins? As you know but didn’t repeat today, the Kelly/Kerr split will be one to keep an eye on. Kerr has built huge Facebook groups (one with more than 50,000 members) but has yet to turn that into either a usable reference tool or a source of big cash flow. Other than conversions, of course. I’m betting on him, though for what I don’t know. Good to give Kerr some credit. And maybe a lantern. For guest bloggers on TBB, maybe you could try my “Old Timers Day” idea. Have articles written by one of the burned out, washed out or sold out bloggers we don’t hear from any more. Daraius, Emily, Ingy, Drew (unless he’s writing again). Looks like Daraius and Emily have gone hiding! Drew will likely blog something again…one day. Would love to get PFD and PointsCentric to come back! Working on some stuff for Wednesdays….I think. Every time I look at my conversions I almost change my mind and say phuck it! I want Jared Blank of Online Travel Review to return! Exactly. Land Mines are cheaper and way more effective. Sam’s idea is terrific! Lessons from retired bloggers. Lots of good links today. This blog isn’t making enough to pay retired millionaires.Unless Buzz is inflating his number like Trump. Maybe you could get Ingy to publish under a pseudonym (without violating his NDA). I am sure the NDA is long expired. Who cares really over at FTG, I don’t see that site being around past 2019. I decided to pay writers out of my day job. It is crazy I am even contemplating to do that! It looks like I need the tax deduction or something lol. George, come write for us! We have an unexpected opening to fill. I’m 6’7″ and I fly first class. Marriott is the light and the way. Oscar invites come with the gig? Appreciate the links to the SLH properties – gracias! Lots of nice looking properties that will get me outta the cookie cutter chain rooms. And thanks for that cave link too. Yeah, Hyatt did the best deal I think among all of the hotel chain companies! I, for one, applaud the new direction of this blog and milenerd. Quality being compromised here was never an issue…When that happens…it is time to fold. I am going to get to the comments tomorrow Saturday. A nice “finger” attachment to your phone. Apparent it can stroke you! Another idea for guest writers. Once a month you could run a post by someone banned on Twitter by René. They could write about the reason(s) they were banned, if any, and the life lessons they learned by reading René’s blog and other writings.